Mine: Incredibly lame tying together of two completely unrelated stories. Neither done very well. I am not a big fan of "Wind in the Willows" but the adaptation done here makes the original seem interesting by comparison. The Ichabod is a bit better, but still very one dimensional. 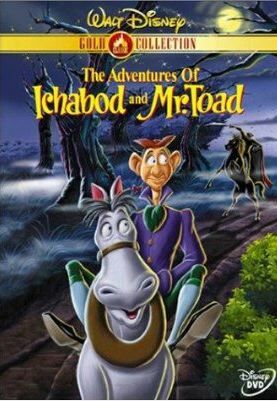 Leonard Maltin/Plot synopsis: Two animated adaptions of "The Legend of Sleepy Hollow" and "The Wind in the Willows."